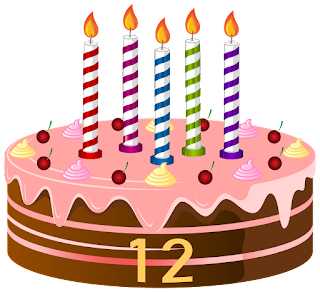 Randomness: A Dozen Years of Bloggy! 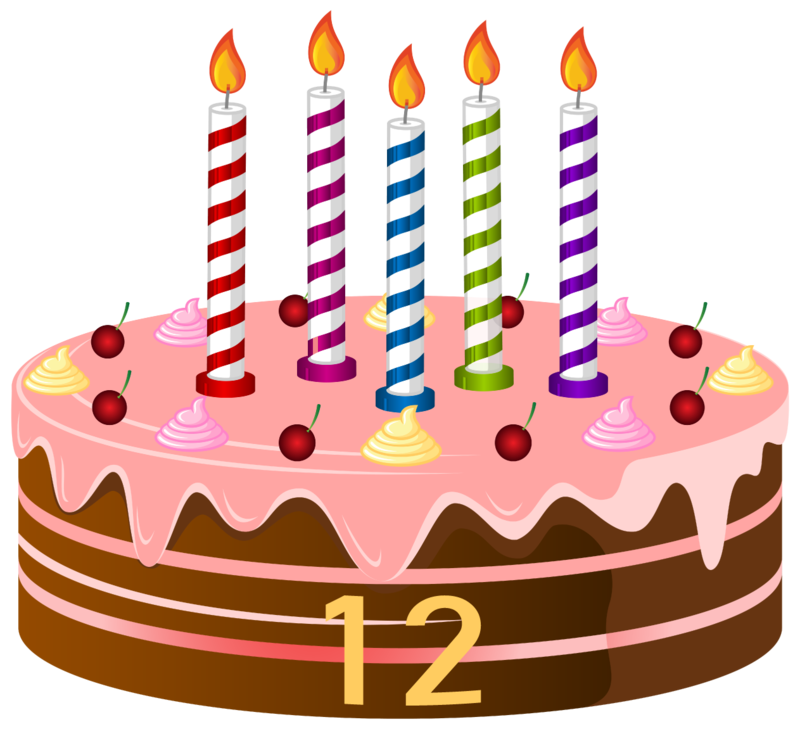 A Dozen Years of Bloggy! It's a time for celebration! "Randomness" is twelve years old today! I've baked the traditional bloggy cake for this inarticulate pre-teen, and all is well. I've been back in my hometown of Girard for the weekend, to help out again with the National Association of Letter Carriers' "Stamp Out Hunger" Food Drive and to celebrate Mother's Day with my family. The Girard and Lake City community donated 4676 lb (2121 kg) of food, which we were much better equipped to handle this year than last. Mom and I went to see the University of Notre Dame Concert Band, who happened to be in town putting on a local benefit concert, and then the family had dinner with my grandparents and my now-103-year-old great-grandmother. All that has left this weekend pretty jam-packed. So this blog post is short, in part because I had to keep my daily streaks in Pokémon GO alive before midnight, as well as the usual race against the clock to finish this post. Busy, busy! I should write about my actual life here, too, soon, because it's actually pretty good lately. (A welcome change!) But for now, happy birthday, Bloggy!